Ayrton Senna was desperate to race for Williams in 1993 but after having the move blocked by Alain Prost, looked set to spend another year with McLaren. The problem was that in 1993, McLaren was having to use underpowered Ford V8 engines after Honda had withdrawn from the sport and a deal to get a supply of Renault V10s fell through. 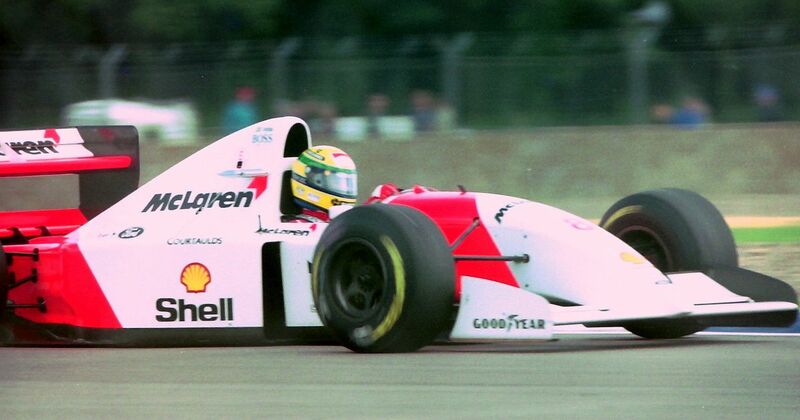 Senna didn’t really want to spend a year in what he thought would be an uncompetitive car so on this day in 1993, Ron Dennis - who, like any team boss on the grid, wanted Senna in the car - played a bit of a power move and announced that McLaren’s drivers for the season would be Micheal Andretti and Mika Hakkinen. It worked - faced with the prospect of being out of a drive (and after finding the car wasn’t that bad in testing), Senna eventually agreed to drive for McLaren on a race-by-race contract and went on to have one of the most memorable seasons of his career. With McLaren now having three drivers for two seats, as the last man in (so to speak) Hakkinen was also the first man out and spent most of the year as a test driver before taking over from Andretti for the last three races of the year. Theo Fitzau (born 1923) entered the 1953 German GP in an AFM-BMW, qualifying 21st out of the 34 starters. However, he dropped to last on the first lap and made zero progress, eventually retiring with engine issues after three laps.